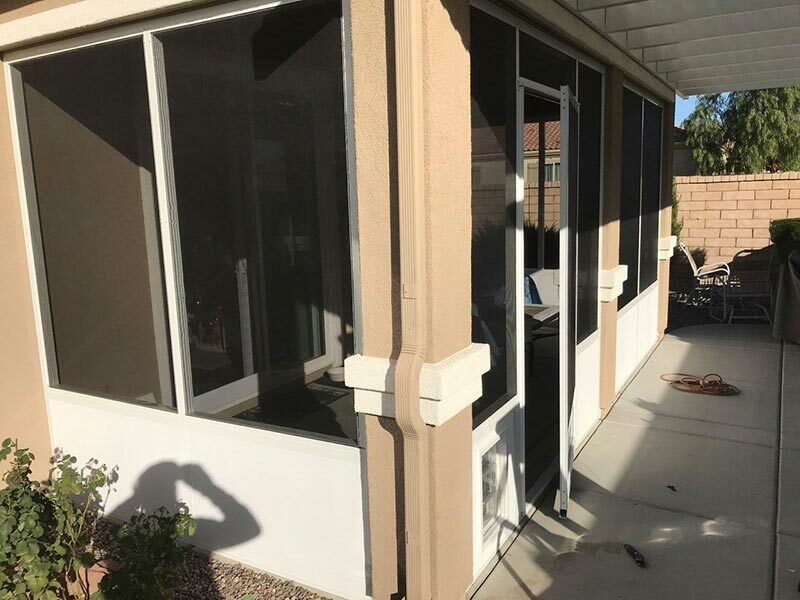 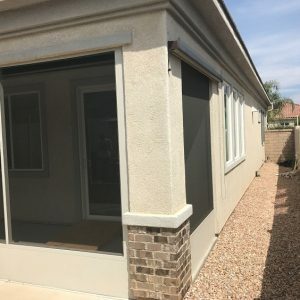 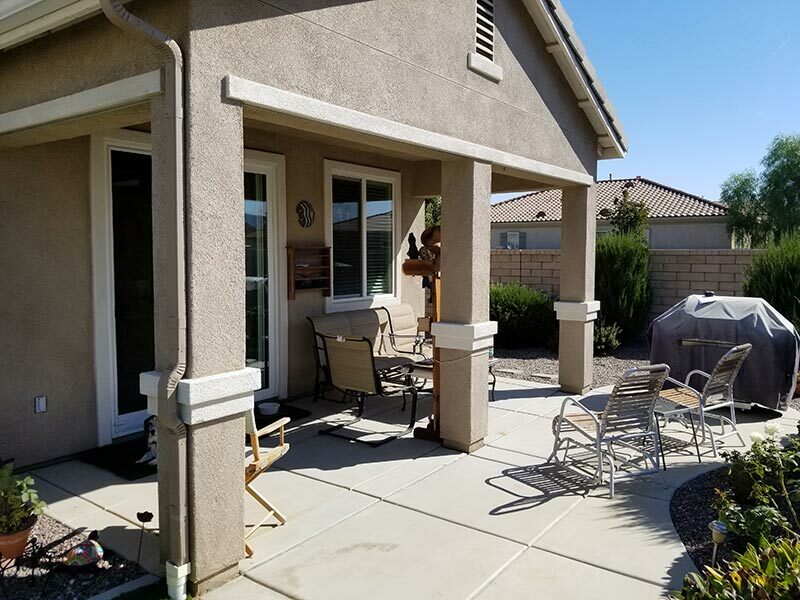 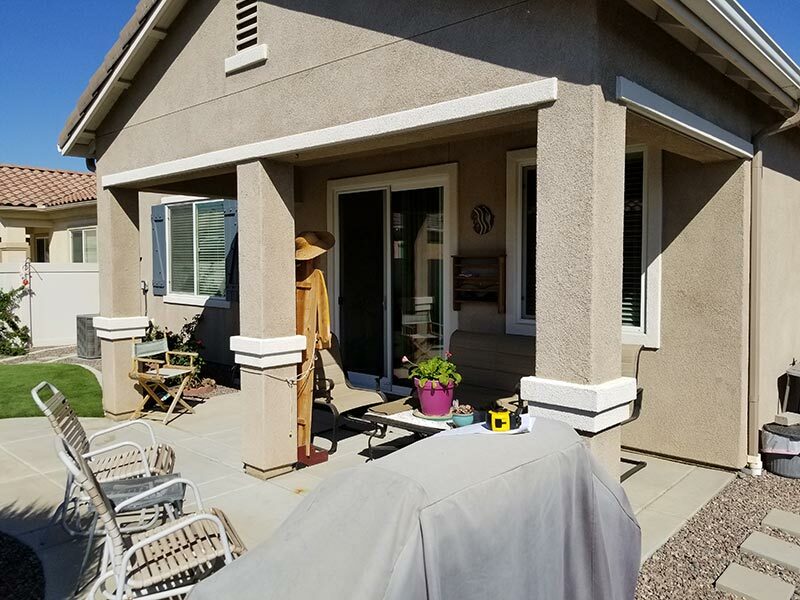 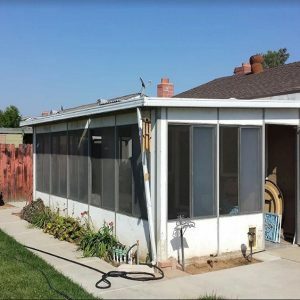 This Del Web Hemet Homeowner was looking to screen in their existing porch on their home and add a lattice patio cover to provide a little shade into the new screen room. 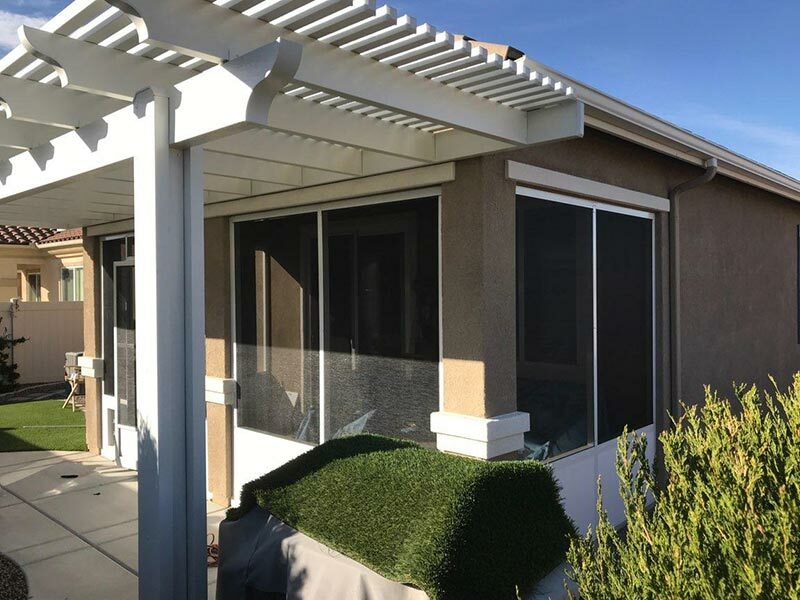 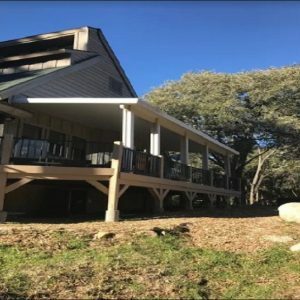 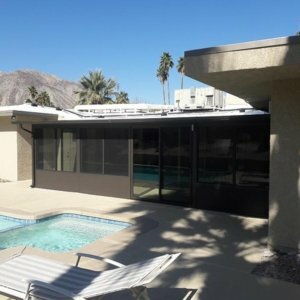 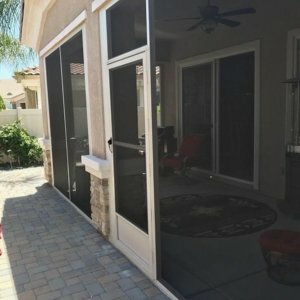 Sun Boss installed the “Imperial” screen room with pet friendly “SuperScreen”, and the “ImperialWood” open lattice patio cover. 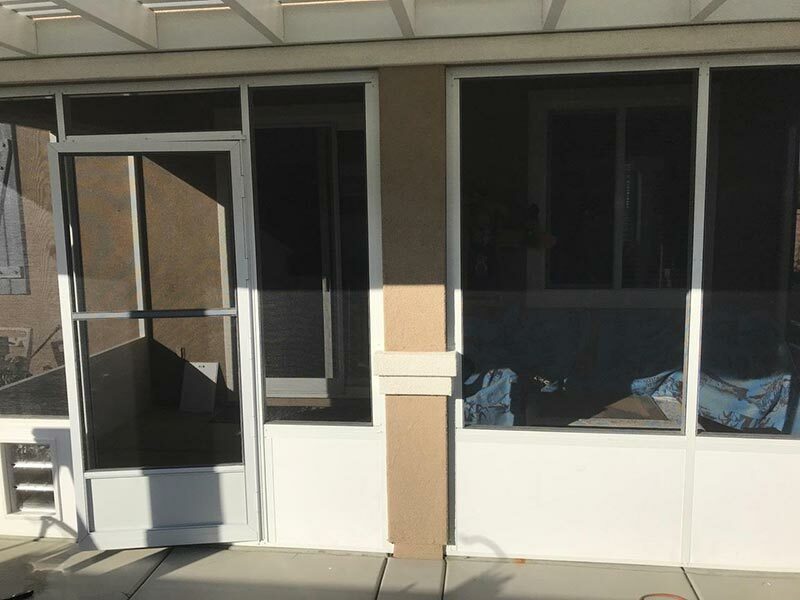 The screen wall system is framed right on site and Sun Boss has been installing these screen rooms since the late 1950’s. 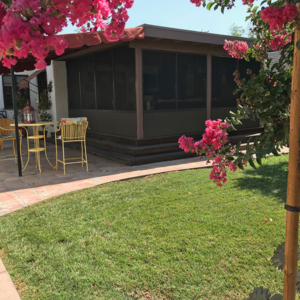 Marketed as our new screen room, 50 years ago as “Imperial”, the intent was labeling it the KING of screen rooms. 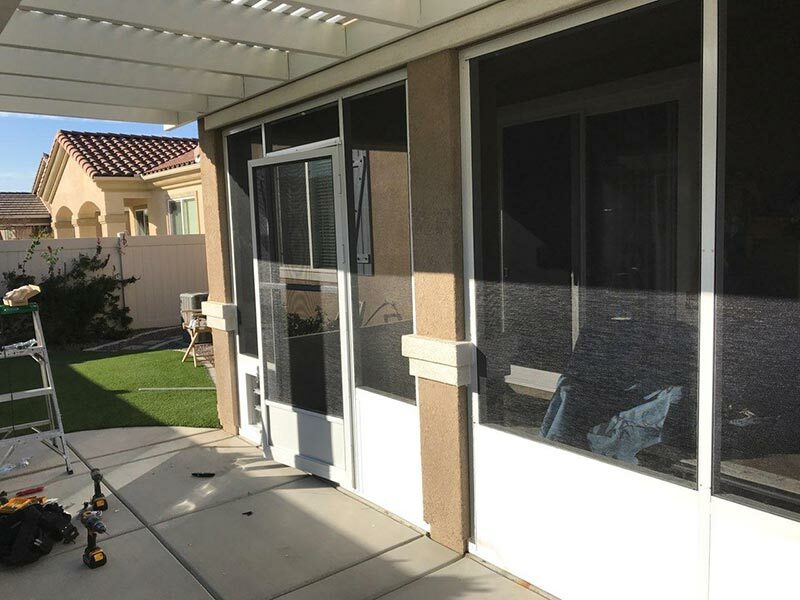 To this day the technology is about the same, just better quality in both the powder coated aluminum and the quality and strength of the Pet friendly screen.